1. Apex Remodeling, Inc. Certain of the officers and directors of Apex Property Management own one hundred percent (100%) of the issued and outstanding equity interests of Apex Enterprises, Inc., a Wisconsin corporation, of which Apex Property Management and Apex Remodeling, Inc. are wholly-owned subsidiaries. Apex Remodeling, Inc. provides remodeling services to Apex Property Management in connection with its property management responsibilities. 2. Apex Maintenance, Inc. Certain of the officers and directors of Apex Property Management own one hundred percent (100%) of the issued and outstanding equity interests of Apex Enterprises, Inc., a Wisconsin corporation, of which Apex Maintenance, Inc. is a wholly-owned subsidiary. Apex Maintenance, Inc. provides maintenance and other related services to Apex Property Management in connection with its property management responsibilities. 3. Plumbing Ventures, LLC and subsidiaries. Certain of the officers and directors of Apex Property Management own one hundred percent (100%) of the issued and outstanding equity interests of Apex Enterprises, Inc., a Wisconsin corporation, which in turn owns an eighty percent (80%) equity interest in Plumbing Ventures, LLC. The wholly-owned subsidiaries of Plumbing Ventures, LLC, which are McCullough Plumbing, LLC, Mark’s Reddi-Rooter, LLC and Main Fire Protection, LLC, provide various plumbing and related services to Apex Property Management in connection with its property management responsibilities. 4. HVAC Ventures, LLC and subsidiaries. Certain of the officers and directors of Apex Property Management own one hundred percent (100%) of the issued and outstanding equity interests of Apex Enterprises, Inc., a Wisconsin corporation, of which HVACVentures, LLC is a wholly-owned subsidiary. The wholly-owned subsidiaries of HVACVentures, LLC, which are Warren Heating and Cooling, LLC and Warren Electric, LLC, provide various heating, ventilation, air conditioning, electrical and related services to Apex Property Management in connection with its property management responsibilities. Because of the above-described relationships, the property management services performed pursuant to the Property Management described above may result in additional financial or other benefits for the directors and officers of Apex Property Management and the shareholders of its parent, Apex Enterprises, Inc.
Any charges or sums paid to the above-described entities by Apex Property Management on your behalf and in connection with the performance of property management responsibilities will be at rates no higher than reasonable and customary rates for similar services by other providers in the area. You are not required to utilize our affiliated business for property maintenance or repair services. THERE ARE OTHERCOMPANIES IN THE AREA OFFERING SIMILAR SERVICES TO THOSE OFFERED BYTHE ENTITIES DESCRIBED ABOVE AND YOU ARE FREE TO SOLICIT AND ORCONTRACT WITH SUCH OTHER COMPANIES AS YOU MAY SEE FIT. 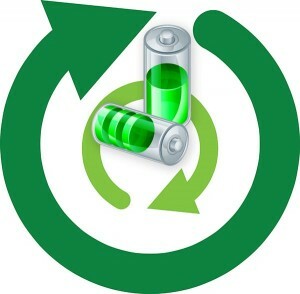 The City of Madison has started a drop off program for the recycling of household batteries. Madison residents can recycle their single use household batteries (A, AA,AAA, C, D, etc.) by bringing them to the City’s two full service drop off sites, as well as Metcalfe’s Market locations and the Willy Street Co-op. Funds for the program come from savings realized from changes in the electronics recycling program. The batteries are being handled by Universal Recycling Technologies, the City’s electronics processor. For more information on the program residents can visit cityofmadison.com/streets or call the City Recycling office at 267-2626. In order to complete the property management picture and to help control subcontractor expenses, Apex Enterprises also owns McCullough Plumbing, Mark’s Reddi-Rooter, Warren Heating and Air Conditioning, Warren Electric and Apex Building & Remodeling all of which offer Apex Property Management discounted service rates. No other Property Management company can offer such a complete package.